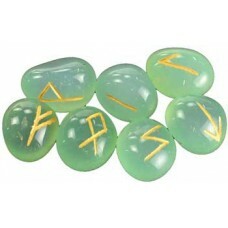 The 7 Chakra Rune set uses the 24 runes of the Elder Futhark and a single blank rune, all a carved i.. 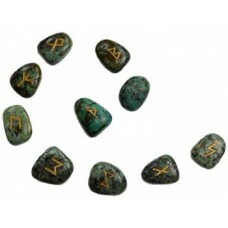 This African Turquoise rune set beautifully displays the 24 runes of the Elder Futhark and one blank.. 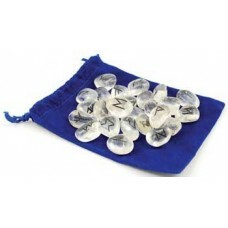 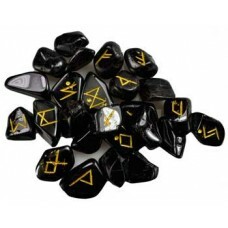 This rune set offers you 25 polished amethyst stones, hand-carved with the runes of the Elder Futhar.. 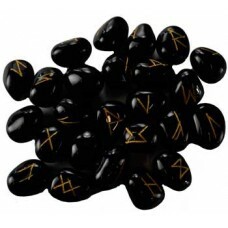 The 24 runes of the Elder Futhark and one blank rune burnt in apple wood; ideal for anyone seeking u..
A set of rune stones with the runes carved into aquamarine dyed tumbled stone and enhanced with gold.. 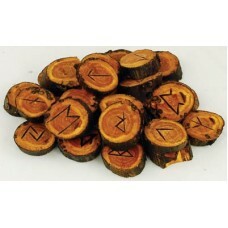 Hewn from the wood of the Ash tree, this rune set offers you the 24 traditional runes of the Elder F.. 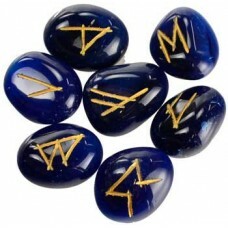 The 24 runes of the Elder Futhark and one blank rune carved into Black Onyx for use in your divinati..
A set of rune stones with the runes carved into blue onyx dyed tumbled stone and enhanced with gold .. 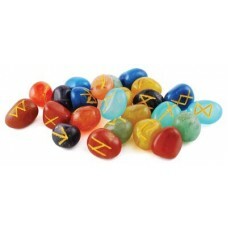 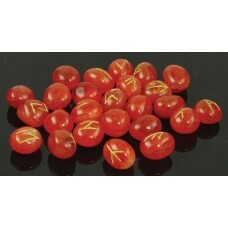 Using the power of the Elder Futhark along with the properties of carnelian, this 24 stone rune set .. 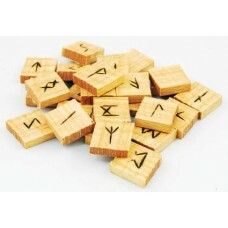 The 24 runes of the Elder Futhark and one blank rune are burned into the surface of Cedar slices for..
Sculpted of tumbled clear quartz, a stone highly valued for its spiritual and energetic qualities, t..